Welcome to the Shaw Pit Bull Rescue (Shaw PBR) Volunteer Program. Being a volunteer is etremely rewarding, educational and fun. Here, you can have a significant positive impact on the lives of homeless American Pit Bull Terriers. Providing a clean rescue environment, or even giving a dog a bath or pat on the head, can have a huge impact on the lives of our adopt-a-bulls. It is rewarding to see how the dogs respond to the love they receive while at our rescue. In most cases, our adopt-a-bulls were strays or abused, and our rescue is the first time they experience compassion. Shaw PBR is an all-volunteer, non-profit 501(c)3 organization. As a result, we recognize the value of your time and thank you for giving your time as a volunteer to help change the life of a dog in need. We hope that the time you spend here will be as rewarding to you as it is beneficial to the adopt-a-bulls you help. We appreciate your commitment to help us help them and we know that your time is valuable. Because of you, our adopt-a-bulls get to play regularly and are more socialized. Most importantly, the time and energy you contribute by volunteering helps save many dogs’ lives. Since your support as a volunteer is extremely important, your decision to participate must be made with the full understanding of the commitment and responsibility it demands. This handbook has been prepared for you as a reference guide. It contains information regarding our policies & procedures, tools for dealing with the public, and how to safely handle rescue animals. Please read it carefully so you will be well equipped to answer questions knowledgeably and to provide quality care to the dogs at the rescue. As a member of the Shaw PBR team, you are a representative of Shaw PBR’s brand and image and are expected to conduct yourself in a professional manner. You must be respectful and courteous in your interactions with the public and with management. Disrespectful or unprofessional behavior, sexual harassment, threats, disparaging remarks, discrimination or excessive vulgar language will not be tolerated and you may be asked to cease your volunteer work as a result of such conduct. This code of conduct applies to online and/or written material as well as personal interactions with board members, other volunteers, and members of the public. Bottom line - commit to providing excellent customer service to our visitors, board members, and fellow volunteers. It is not appropriate to bring children who are not Shaw PBR volunteers or your own pets to the facility while you are performing volunteer activities. All Shaw PBR volunteers must sign the volunteer agreement, and have approval from the Volunteer Coordinator to proceed with further activities. Volunteers with unapproved guests or pets will be asked to leave. Information pertaining to Shaw PBR records or specific cases are strictly confidential and may not be discussed with others. Please refrain from offering the public information on fees or policies unless you are sure you have current, accurate information. When in doubt, always refer the person to Shaw PBR management. Volunteers are not to disclose any confidential information (contact, personal information, financial, etc.) of rescue volunteers or board members. Only Shaw PBR approved signage and messaging are allowed on premises and at Shaw PBR events. Do not write notes or messages on kennel cards, on paper signs or affix any other signs or messages without prior approval from Shaw PBR management. Shaw PBR relies on its volunteers to be dependable and effective during their volunteer hours by following established policies and guidelines. This allows our rescue program to operate smoothly and with the maximum benefit to the dogs, management, and volunteers. All rescue volunteers are required to abide by those policies and guidelines detailed in our Volunteer Handbook. Volunteers must be at least eighteen years of age to work without parental supervision, and must enjoy working with and show a genuine concern for the welfare of animals. A willingness to work hard, get dirty, and pitch in wherever needed is required. The ideal volunteer is self motivated, mature, sensitive, dependable, and a team player. He or she must have the ability to meet assignments promptly, reliably and with flexibility. Volunteers who work in direct contact with our adopt-a-bulls must exhibit a willingness to learn about dogs and how to properly interact with them. We are a privately run rescue and therefore closed to the general public. We are open for visitors, adoptions and volunteers by appointment only. Volunteer Work Days and Shaw PBR Events will be posted on our Facebook page, Facebook Volunteer Group, and our website. All other volunteer hours should be pre-scheduled with Shaw PBR management. Volunteer commitment and ideas are essential to our success - whether working with the dogs at the rescue or volunteering at an event. Events are designed to promote adoptions, encourage much needed donations, and provide information to the public about our organization. Volunteer hours are flexible, we just ask that you schedule the time at least two days in advance so that we can adjust our schedules and needs accordingly. Once you have agreed and committed to be available for a particular shift or rescue sponsored event, we count on you to be there. In the event that you are unable to show up for the shift or event, please contact management as soon as possible. We suggest that you wear non-skid shoes and comfortable clothing that you don’t mind if it gets dirty, torn, wet, or damaged. We strongly recommend that you do NOT wear hoop earrings and long necklaces, as these can be caught by paws, causing damage or injury to you or the dog that you are handling. Shaw PBR strives to provide a clean, safe, healthful, and hazard-free workplace. Accidents do happen, but with training, forethought, attention to detail, and personal responsibility for keeping areas hazard free, we can greatly reduce the number of accidents in our rescue. Accident prevention is everyone's job. If you see a safety hazard such as spilled food, containers left open, tools left out, or dogs behaving in an aggressive or unusual manner, please report them immediately. If you are injured in any way by one of our animals, please let rescue management know immediately so we can attend to your injury. Certain areas of the rescue are off-limits to volunteers unless specifically authorized to enter. These include any isolation kennels, the intake building (house) and personnel offices. We believe that the best way to handle any misunderstanding or concern related to the rescue, its volunteers, or operation is to communicate open and honestly about it as soon as it happens. That is why we have an open door policy for bringing volunteer concerns to the attention of the people who can best do something about them. We stress that no member of management at Shaw PBR is too busy to answer questions or address any problems or concerns. If you have a question or concern, we ask that you make every effort to address them with us immediately so we can answer your concern and take appropriate and timely action if necessary. If a rescue animal shows any of the following symptoms, immediately notify Management. • Wash your hands frequently with antibacterial soap, especially after handling any animal and prior to eating or drinking. • Wear gloves when handling the dogs, or cleaning kennels areas. • Immediately disinfect scratches and bite wounds. • Let your physician know that you work closely with rescue dogs. Some of the illnesses that humans can catch from dogs include Ringworm, External Parasites (lice, mites, fleas), Leptospirosis, Lyme Disease, Nematode (worm) Infections, Rabies, and Salmonellosis (Salmonella). You should not let this list alarm you, as our adopt-a-bulls are vaccinated and treated upon arrival to Shaw PBR. However, please keep in mind that a rescue facility is an environment where these organisms can exist. • Make sure that your own animals have all of their vaccinations up-to- date. • Let your veterinarian know that you work with rescue dogs. • Change your rescue clothes before socializing with your animals at home, and vice versa. Sponsors are special volunteers who may not be able to adopt a certain dog, but go the distance to see that animal is well cared for. Sponsors visit our dogs, help pay for vet bills, and often bring treats and toys to the rescue. Shaw PBR dogs thrive under the wings of these special people. This position involves working with the dogs in our rescue. It involves maintaining the well-being of the dogs by cleaning kennels, washing bowls, stocking supplies, giving treats and toys, grooming, etc. You must be 18 years or older or have an adult present. PLEASE NOTE: Dogs can only be walked in the designated play yard. Regular exercise is important for both humans and animals. It provides each dog at our rescue the opportunity to get out and stretch its legs, play and obtain a bit of training. Walkers may volunteer anytime during rescue business hours. By donating even a half hour once or twice a week, you can help make the stay of a rescue dog more enjoyable until a new home can be found. For safety reasons, dog walkers must be at least 18 years old or have an adult present. • Leashes are available in the office building. • Leashes should be placed on the dog while the dog is inside the kennel. Never have a dog come out of its kennel to place a leash on it. • Ask for help if you are having difficulty getting a dog out of its kennel or handling the dog. Shaw PBR management or qualified volunteers are the only people that are allowed to take dogs out of their kennels. • Be sure to close AND secure all gates and doors as soon as you are through them, including dog kennels and outside gates. If you are having difficulty securing a door or gate please ask for assistance. • All dogs are to ALWAYS be walked with appropriately fitting collars. • Dogs may be let off-leash in the play yard unless otherwise instructed. • Dogs in the play yard must be supervised at all times. • NEVER put two dogs together unless instructed by management. • Please remember to pick up any waste in play area. • Please notify management immediately of any medical or behavioral problems. • If you work with a particular dog on behavior training, let management know how the dog is responding. We like to be updated on the progress, and potential adopters will appreciate it too. Keeping Shaw PBR’s facility looking clean and neat for the public is very important. Disinfecting and cleaning kennels; washing dog houses, water buckets and food bowls; and landscaping are just a few of the many projects at the rescue. We have an endless list of items that are in need of repair. If you are a “handy” person who enjoys tinkering with all sorts of projects, there are many ways to help. These volunteers help place and collect money from Shaw PBR’s donation canisters placed at local businesses. These volunteers attend community and pet events, and many other off-site functions. Often, Shaw PBR has an information booth/table to help promote the rescue. Raising funds and creating awareness is critical, especially in these hard economic times. • Help plan and coordinate one of our special fundraisers. • Distribute Shaw PBR literature. • Assist with mailings and computer work. • Help identify prospective donors and volunteers. One of the most integral tools to help get a dog adopted is a good adoption bio. We are always looking for new and exciting ways to promote our adopt-a-bulls, so if you are a writer, please consider helping us. who may not have otherwise gotten love, attention and exercise. You do make a difference!" Every volunteer in the rescue will be exposed to dogs and may have to handle a dog at some time. It is important that you know how to handle dogs safely. While some of the dogs that come to our rescue will be happy-go-lucky and easy to manage, some will not. Some may be terrified by their new surroundings, in pain from injuries or illness, or have issues from human abuse. All of these issues can cause a dog to react negatively to you. Many times they are not noticeable until you actually place your hands on the dog. We ask that you approach every dog with caution and be aware that a dog's reaction to you can change in an instant. Dog bites do happen. As a volunteer in an animal rescue, you are at risk of being bitten. Volunteers should take every precaution to avoid and prevent dog bites. • Ask any questions about the dogs personality and cautions if you are not sure or are uncomfortable with a dog. • Do NOT handle any dog that you feel may be a threat to you or others, and bring your concerns to management. • Be sure to acknowledge a dog before approaching or entering the kennel. • Approach dogs slowly, calmly, and use a soothing voice; try not to tower over the dog. • Ask or call for help if you feel you are at risk. • Do NOT turn your back on an angry dog; back away from them slowly instead. • Keep all dogs on a leash or confined to a specific area. • If possible, do not walk dogs past each other if you are unsure of their reaction. • If you think a dog is going to bite, try to put something between you and the dog, such as a chair, fence, or even a jacket. • Should a dogfight start while you are handling a dog, seek help immediately. Do NOT attempt to break up a fight. Preventing bites is not only important to your health and well-being, but to the dog's as well. There is a difference between play-biting and aggressive biting. Even so, every dog bite must be reported to management as soon as it occurs; so it is in everyone's best interest to avoid bites altogether. If you are bitten while volunteering at the rescue, immediately secure the dog in the nearest empty kennel or room. Wash the wound completely and thoroughly with antibacterial soap for at least five full minutes. If there is bleeding apply pressure to the wound. You will be asked to describe the circumstance of the bite, and depending on the severity of the bite, you may be directed to see your doctor or go to the nearest medical clinic or emergency room. Management will evaluate the dog and situation to determine if further steps or actions need to be taken. How is Shaw PBR financially supported? Why Do I Need to Sign a Volunteer Release and Waiver? Our Volunteers are vital to our operation. It is, through your help, that we are able to rescue, rehabilitate and adopt homeless and unwanted pit bull dogs. The handbook is designed to prepare volunteers for proper handling, hygiene and safety precautions, when in our rescue or at offsite events. In order to protect our organization and our rescued animals, we ask that you sign a volunteer release and waiver. Although every attempt will be made to ensure your safety, animals (particularly rescued animals) are by their nature unpredictable in behavior. For this reason, safety is everyone's responsibility and we count on our volunteers to perform their work responsibly and by adhering to the rescue guidelines and policies. Dogs in our rescue are only euthanized if they are too sick to be treated or exhibit aggressive behavior that cannot be rehabilitated. We do not use euthanasia as a means of population control. Why is it So Important to Spay and Neuter? It is estimated that between 6 to 8 million American pets are euthanized each year due to over population. One pair of breeding dogs, with all their offspring, can produce 67,000 puppies in only seven years. Preventing unwanted births will stop the number of deaths. As a general rule, we do not take owner surrenders. However, we will decide on those on a case by case basis. The majority of our adopt-a-bulls were homeless, abused, or from hoarding cases. How Do You Decide Which Dogs to Take In? The intake of a dog is determined, not only by space availability, but impending danger they may be facing. We are presented with dozens of situations of dogs needing rescue on a daily basis, but the final decision on which animals will be taken in is determined by the upper management. 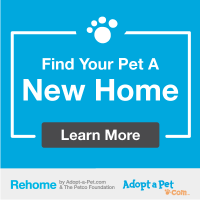 Can I Refer Someone to You if They Find a Stray Dog or a Dog in Need? What is Your In-Take Process? Upon arrival to our rescue, a dog is evaluated and treated for fleas, worms, and other parasites; and vaccinated with an annual booster. Medical needs are then reviewed. We also evaluate behavior and other issues, generally over a period of time. We first require a pre-adoption questionnaire be completed via our website. Once all information is verified, a phone or in person interview is conducted. If the interview is successful, we schedule a rescue visit with the family and any existing pets. We then try to match the dog with the family. It’s all up to the dogs at this point. How Much Are Shaw PBR Adoption Fees? In an ongoing effort to bring pets and families together, our adoption fee is only $100 per dog. All dogs have been spayed or neutered; are up-to-date on all vaccinations, including rabies; are on heart worm preventive; and have been micro chipped. No. All dogs that come to us remain at our facility in our personal care so that we can better monitor their health and answer any questions potential owners may have regarding behavior, etc.